This coming weekend on May 12th and 13th, the annual Design Festa event will be holding its 47th festa at the Tokyo Big Sight West Hall and Monocircus will be taking part in it again this year! The event site will be on the 1st and 4th floor of its west hall and we hope you would take note of where our booth is midst the many various stores. 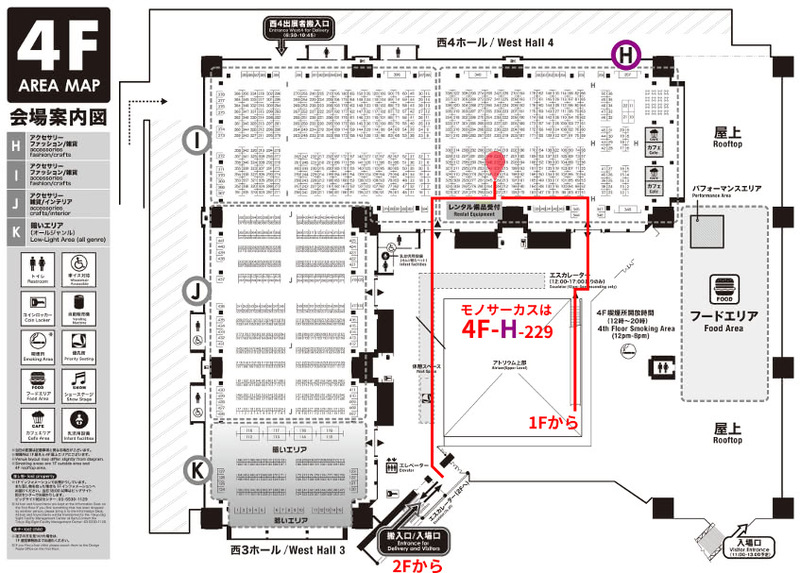 Monocircus’ booth number is H229 on the 4th Floor of Tokyo Big Sight West Hall 4, near the area around the Rental Equipment counter shown on the map for Level 4. The weather has been a little unpredictable recently with sudden drizzles, but the event is held indoors, so we hope you will have an enjoyable time with us at this Design Festa!